Alright, I’ve got a challenge for you butterfly fancy pants. You passed the butterfly challenge with flying colors, no pun intended! I don’t know about you, but when I manifested my butterfly I got really excited. Then I SORT of blew it off as no big deal… Just got lucky… But I know better. I did stop and celebrate my AWESOME POWERS OF MANIFESTATION. I loved the butterfly stories you emailed me, thanks again!!! After manifesting 5 different butterflies in my underpants, just kidding, I wanted to challenge myself and manifest something that doesn’t fly and is NOT a part of my day to day life. The light bulb went on (ding) and BLUEBERRY MUFFINS danced through my head. And no I was not tripping. A Blueberry muffin is something that I don’t ever buy or eat. Even though I think they are yummy, the sugar is too much for me. “I WANT A BLUEBERRY MUFFIN”. Thank YOU! dance for 10 seconds. Then I forgot about it completely. 2 weeks go by…… NO blueberry muffin!!!! No big deal, I am already feeling as if I have manifested it! box in my kitchen???? Okay, don’t get ahead of me now. Shannon knows I don’t eat sweets. found nothing!!! They are now convinced I am not human. eat a chocolate chip Clif bar every day. See, I am human! the pink box?” With her southern accent, she says, “Oh nothin’. 3 donuts and 2 muffins, one is raisin the other is BLUEBERRY!!!!! It’s a BLUEBERRY MUFFIN!!!! Just like I had visualized! her emotional guidance!!! Yea for Shannon! the garbage and Shannon took the photo! See below. NOW IT’S YOUR TURN… FANCY BLUEBERRY PANTS!!! in a little pot would be perfect to visualize. a cactus! THANK YOU!!! See photo below. Post it on your bathroom mirror. Visualize the end result. Feel the excitement! And do the Blueberry muffin or cactus dance! Do it every day. Have fun! Please email me your stories. PS – WHY YOU WANT TO DO THIS!!! Builds your confidence up for your bigger desires. Because manifesting is supposed to be FUN!!! Creates a stronger overall vibration of attraction within you. Powerful reminder of how easy it is to manifest. Children in 3rd world countries are counting on you. 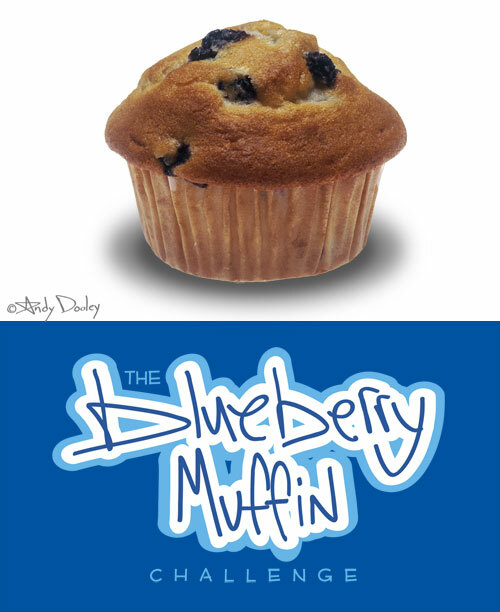 Larry King and Oprah will want to interview you and hear your Blueberry Muffin Story! Wow! Your excellence and enthusiasm just keep getting bigger and better! Love ya! Ok Andy – I had to find something better than a blueberry muffin. I thought about it, and something came to me. We had a company email about a Raffle for our United Way campaign for a cabin aboard the inaugural cruise on Royal Caribbean’s Oasis of the Seas. It’s a one night unveiling cruise out of Ft. Lauderdale. When I saw the email, I decided that was my blueberry muffin. I looked at the website, visualized being on the ship, said my thanks, then deleted the email and forgot all about it. Late last night, I received an email that I had won the raffle and now I am going on that cruise! I believe I will have a blueberry muffin for breakfast in your honor. wooHoo Wendy you totally ROCK and have extreme POWER!!! Love it! Your WISH is your command!!! Thanks for sharing!!! Just found this today — my blueberry muffin has crunchy sugar crystals all over the top and ginormous juicy blueberries all through it! I’m so happy it’s on it’s way to me!!!! Woo hoooo! sounds yummy in my tummy! First off, I’m not a big muffin fan but was up for the challenge. There are two donut shops on the way to work that I can pass by, depending on the route I choose. This morning I stopped at the one I do not usually drive by. My goal was a Friday treat…chocolate long john… the same thing I always pick when I want a treat. I’ve been in this shop many times over the past few years & have never EVER really noticed anything else in the glass cass of goodies. But as I glanced looking for my Prize Long John… what is sitting front & center that my eyes immediately focused on… a fresh Blueberry Muffin. I’m sure the lady behind the counter thought I had lost it when I started laughing out loud. Great story! 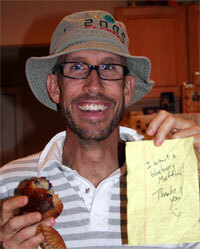 You rock the blueberry muffin! I loved this challenge! The butterflies were too easy and made it less exciting, I manifest them all the time…but blueberry muffins were only a sacred treat when I was a kid. Now at 30+ years old, I can make my own, but I don’t. So I worked on manifesting blueberry muffins for 3 solid days. I would wake up smelling blueberry muffins, I could practically taste them, my mind was so set on manifesting a blueberry muffin! By day 4 I needed to put my energy elsewhere, so I let it go. The following night I was at my girlfriends watching TV when she inhaled deeply & let out a heavy sigh. I looked over at her & she had a goofy grin on her face so I asked her what that was all about. She said “mmm…blueberry muffins…” and I lost it. She was always burning candles in her house so I didn’t think anything of it when she lit one on this night, and my nose was stuffed up so I couldn’t smell it, but for the first time in years, she bought blueberry muffin scented candles & she lit one that evening. And I hadn’t breathed a word of the experiment to her prior to this! Great story! You are a powerful attractor! Today a Blueberry muffin tomorrow a Rolls ROyce! I thought the manifesting a cactus would be a great challenge for me, because I live in Colorado, and in December you just don’t see many cactus around. I found a great picture of one, and taped it to my wall at work by my computer monitor. Every day I imagined it already here, got excited and said Thank You! After 9 days of looking for it everywhere, knowing it was just a matter of time, a co-worker got one almost identical to the one in my picture and set it in his window sill! He had no idea I had the picture up as we don’t work in the same departments! WOO HOO!!!!! !